Electric water heaters account for 18% of the energy used by an average home – more than a refrigerator, dishwasher, clothes washer and dryer combined. What’s an energy-savvy homeowner to do? Make the switch to a heat pump water heater. You’ll save more than $300 on your electric bills every year. 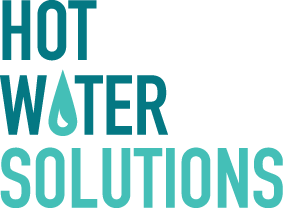 Plus, with special rebates and pricing available on heat pump water heaters from most local utilities, saving energy has never been easier. A standard electric water heater uses more energy than a refrigerator, dishwasher, clothes washer and dryer combined. 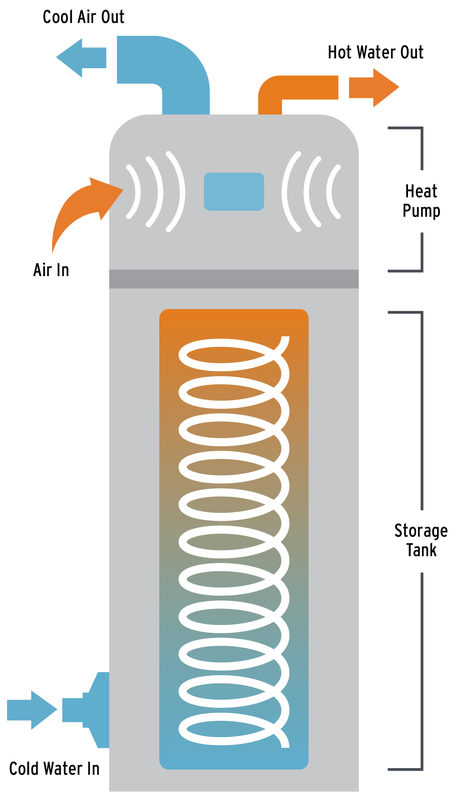 A heat pump water heater uses electricity differently — moving heat rather than generating it, so you use 2-to-3 times less energy, and save more money. 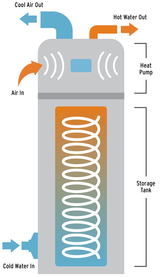 Compared to a standard electric water heater, a heat pump water heater uses 60% less energy. That can save you up to 10% on your energy bill — about $3,500 over the life of the water heater. You can select a specific water temperature, choose different operating modes depending on demand, even set it to “vacation” when you’re gone. Heat pump water heaters are designed to be energy efficient and good for the planet. By cutting electricity use by up to 60%, a heat pump water heater has a direct effect on reducing greenhouse gas emissions. A 10-year warranty means you can rest easy with a steady supply of hot water for many years to come. 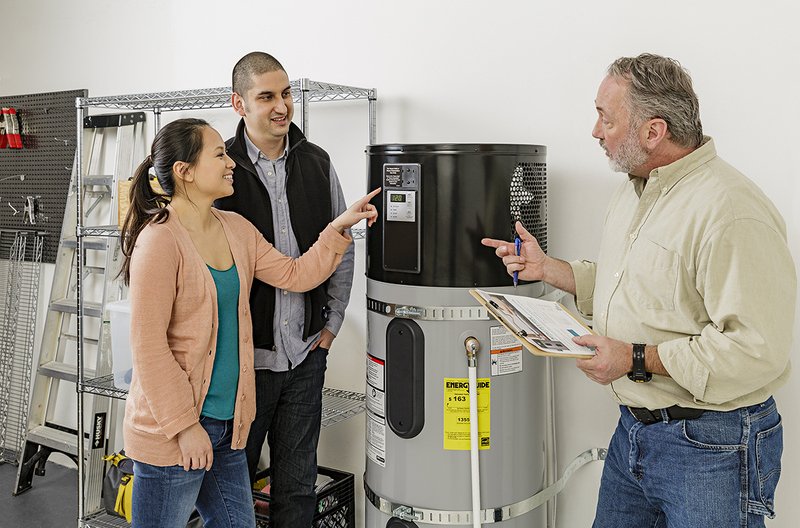 An in-depth chart compares a standard electric water heater with a heat pump water heater. A trained heat pump water heater installer can answer any questions, and schedule an in-home consultation. We are very happy about the installation, product efficiency and energy savings. Every little bit helps. Our water heats much faster, and we’ve seen savings on our electric bill.